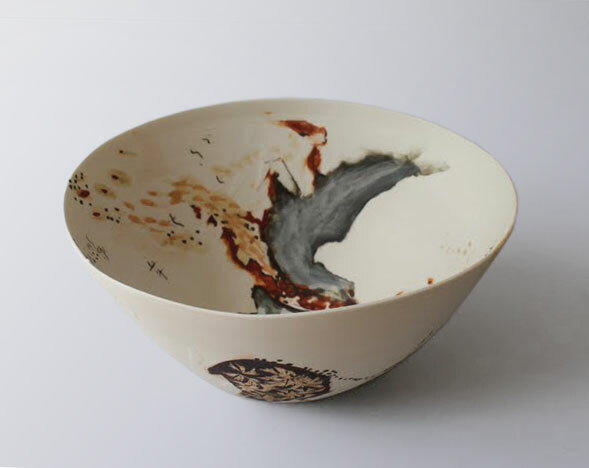 Shannon Garson’s hand thrown porcelain vessels are beautifully hand painted with drawings “about the strange beauty and wonder to be found in the marginalized eco-systems of the littoral zone.” Her background as a painter also informs her works, as she explains; “When using the vessel as a canvas for a drawing, I consider the whole of the pots – this includes three surfaces, the inside, the outside and the bottom… I want the surface of the pot to be part of the drawing, not just a surface for the drawing to sit on. 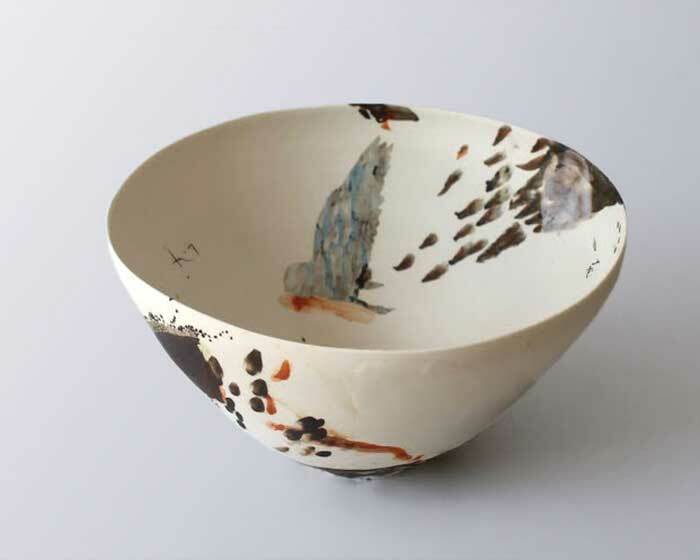 I want the whole pot to be experienced, from the weight of it as you pick it up, the texture, the drawing, colour, smoothness of the glaze, all the elements draw the viewer into experiencing the vessel.” Shannon’s most recent work is inspired by the infinite variety of nature’s patterns, from the leaves of the eucalyptus to the feathers and plumage of an owl. Shannon Garson completed her Bachelor of Visual Arts, Queensland University of Technology in 1993 majoring as a painter. 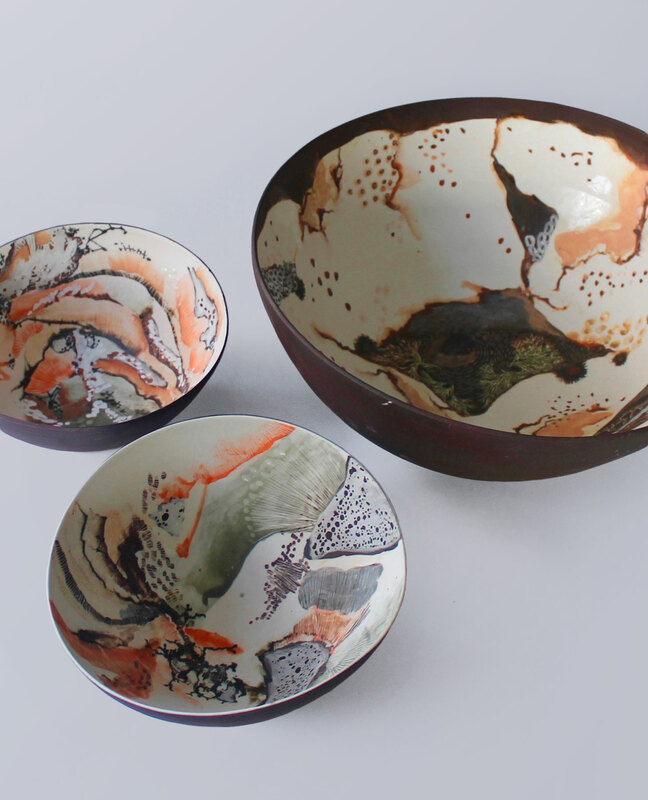 Shortly after, she began decorating after a stint at the Brisbane Gallery Amfora which then led her to throwing and decorating her own vessels. 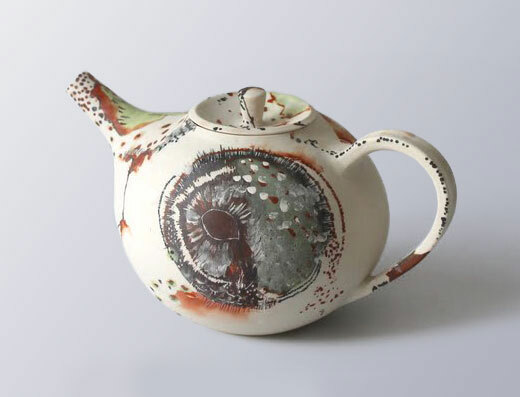 In 2005 Shannon was awarded the Churchill Fellowship which allowed her to travel to France and Italy studying the ceramics before undertaking a four week residency at Dartington Pottery in Devon, UK. She has been exhibiting since 2000, both throughout Australia and internationally.